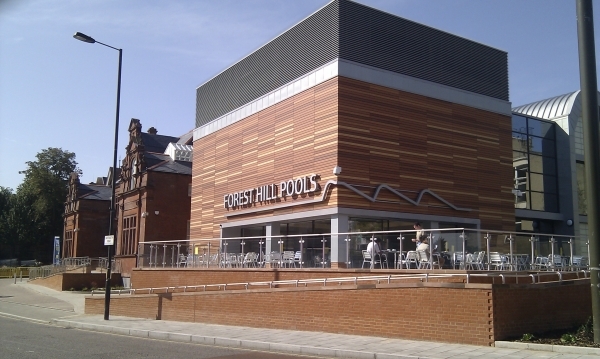 Forest Hill Society’s next General Meeting will be on Thursday June 10th at the Hob, opposite Forest Hill Station. 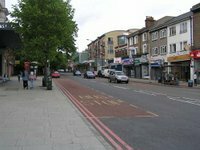 We’ll be getting an update from the Horniman Museum on their plans for the gardens then we’ll move on to Society business and an informal discussion of the key issues facing SE23. We look forward to seeing many of you there. Following the cosmetic upgrading of Forest Hill Station, the Society initiated contact between the station’s Delivery Manager, Alan Jessop-Peacock, and Shannon’s Garden Centre with a view to removing the plastic flowers and greening up the station. It has now been agreed that Shannon’s will plant up and maintain tubs of real plants on the platforms, once the station has supplied the containers. Meanwhile, the tubs either side of the station’s main entrance will be given new plants donated by Shannon’s. We hope the floral results will put a smile on your faces as you run for your trains. Trains start running on Sunday, May 23rd. There is a rumour (from TfL) that they will be giving away 10,000 free tickets on a first come/first served basis. If these plans go ahead, the tickets will be distributed across the ELL stations according to “ridership patterns.” Those with Annual/Monthly/Weekly travel cards will be able to collect a souvenir ticket, rather than a free ticket. If you’d like to celebrate the ELL’s first operating day, then do join the 23 Club on Sunday, May 23rd as we ride the rails. The plan is to meet on Platform One at 14:00 and catch the 14:11 from Forest Hill Station with Sydenham Society, enjoying their theatre performance on the way. They will be going to Dalston and back. But the 23 Club would like to recommend getting off at Hoxton Station at 14:36 for a visit to the fabulous Geffrye Museum (www.geffrye-museum.org.uk). Opening hours on Sundays & Bank Holiday Mondays are 12 - 5pm. Admission to the museum's eleven period rooms, special exhibitions and herb and period gardens is free. The restored historic almshouse, in the south wing of the museum buildings, will not be open.